The 1000 Series of touch monitors are designed to provide a single-source selection of entry-level LCD monitors, aimed at the fast-changing retail POS and hospitality markets. While offered at a lower price-point, they still provide reliable, durable operation and come from the worldwide leader in touchmonitors, Elo TouchSystems. The 1515L features a choice of touch technologies: AccuTouch five-wire resistive technology, the most widely used for retail applications and proven to survive splashing liquids, food and grease; or IntelliTouch pure glass surface wave technology, for the ultimate in optical quality for dry retail and hospitality applications. 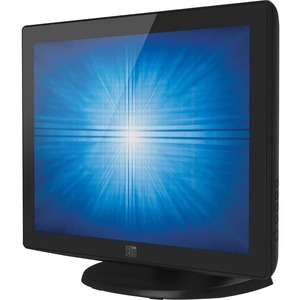 Product Description: Elo 1000 Series 1515L flat panel display TFT 15"